Thousands sign petitions embracing Tammy Baldwin's declaration working families. 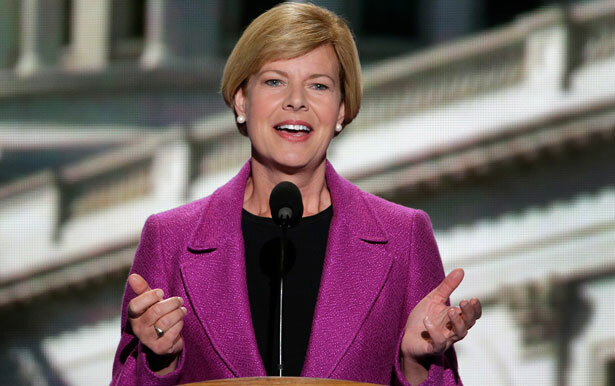 When Tammy Baldwin delivered her first floor speech on the Senate floor late last month, she did not expect to create a national stir—let alone a movement. But Baldwin’s progressive-populist call for a refocusing of Congress on issues of wealth and poverty struck a chord that is echoing across the country, as thousands of Americans sign on daily to an “I Stand With Tammy Baldwin” petition that has become a social media sensation. What resonated from Baldwin’s speech was the newly elected senator from Wisconsin’s absolute rejection of the narrow Washington consensus on economic issues. Dismissing the empty rhetoric of austerity of the Republicans and of the Democrats who compromise with them, Baldwin explained that America was having a different conversation altogether. Baldwin’s message made perfect sense to Maine State Representative Diane Russell, a progressive populist Democrat who learned about the speech when the senator posted an article about it on Facebook. A fan since the days when Baldwin—then a congresswoman—flew back from Washington to join the 2011 protests at the state capitol against Wisconsin Governor Scott Walker’s anti-labor agenda, Russell thought Baldwin’s first statement to the Senate made more sense than anything else she was hearing from DC. Within hours, she had thousands of signatures. Soon, she says, she had close to 15,000.